Fernando and Leslie discuss the increase sales of red crayons now that Game of Thrones and Outlander are coloring books, along with some news about Google Books, when it’s weird for a new author to take on another author’s series posthumously, and the next Shadowhunters book cover. The they finish up talking about the robot anthology Robot Uprisings, edited by Daniel H Wilson. So what’s in Episode 20.1? Robot westerns, Fantastic Four fails, baby Ned Stark? It must be time for Episode 10 of the Working for the Mandroid podcast! Leslie and Fernando touch on the latest seasons of The Strain, Halt and Catch Fire and the new Netflix prequel Wet Hot American Summer: First Day of Camp before talking about A Fire Upon the Deep (yes, again) and Judy Blume’s latest. We also hit on some geek news and what’s making us happy this week. And it’s the final week to enter our Comic Con giveaway! So what’s in Episode 10? Fantastic Four Bombs – Will It Continue? Last Week to Enter to Win SDCC Swag, Books & T-Shirts! Leslie: Peppermint white chocolate drinks, adorable Lord Mesa art, and these awesome Winter gloves (despite it currently being 104 degrees outside)! It's been awhile since I shared some fun trailers with you guys. By now you've probably already seen the Antman trailer, which I'm completely meh indifferent to, and the Age of Ultron trailer, which freaked me out in the best ways. I've decided to avoid any future Age of Ultron trailers as best I can so that I can be surprised and amazed when the movie comes out. So what trailers or videos might I have stumbled across in the last few weeks that would be new to you? Well, there's the first trailer for The Unbreakable Kimmy Schmidt, which is a Netflix series created by Tina Fey. It's not the usual Mandroid fare, but we're fond of 30 Rock and Tina around here, so I'll be interested in checking out this series when it debuts its entire first season on March 6 on Netflix. I didn't realize there was a Telltale Games version of Game of Thrones, and I'm really surprised that Fernando hasn't played it. Apparently it's a 6 part story type game with the second "episode" coming out on February 3 on downloadable platforms. Here, have some robots playing soccer. They are still better at sports than I am. A&E is remaking the French television show The Returned (or Les Revenants if you want to get technical). I can't imagine it will be as understatedly creepy as the original, but we'll give it a try. It starts on March 9 and will feature quite a few familiar fans to anyone who watches a lot of genre television. And finally here's the trailer for season 2 of Penny Dreadful. I really enjoyed the first season and look forward to seeing what other twisted version of Victorian characters they manage to add in the second season. Plus Eva Green is just perfect in this show. It returns to Showtime on April 26. And that's what I have this week. Hopefully I will return next week with more fun videos. What's caught your eye on the internet this week? 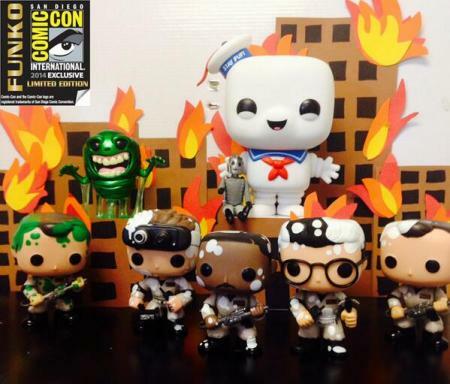 Look at that adorable Stay Puft Man! Do you collect Funko pops? I've collected a few over the years, but it seems since I got my hands on shiny Ninja Turtles at last year's SDCC, I've been obsessed. Funko is a hard booth to get into at the Con, but I'm crossing my fingers that I'll be able to get some of the 86 exclusives they have this year. These are just the first ones they've announced so far. I haven't been able to look at too many random things this week, so I'm going to do this on the fly. How this for random? Entertainment Weekly had a book designer redo the covers of some classic literary so they look like the YA stories that they truely are. I don't think the fall-out from that Slate article will ever end. If you didn't see the Orphan Black season finale on Saturday, what are you doing?! Stop reading this Random Tuesday post and go watch it! There is no link or story for this one. Just the adamant advice that you go watch Orphan Black now. io9 dug up the history behind 31 science fiction terms and where they originated. Amazon put together their top 20 books of 2014 so far. I was pleasantly surprised to see a couple of YA (and science fiction at that!) titles included. And that's all the random I have in me today. I've been hanging out on Twitter a lot more lately, so if you want to chat, join me at @WorkforMandroid. You can get random things all week! Is it possible? Has Random Tuesday finally returned? Are you about to get a face full of random things? Why, yes, you are. But first, have an ear worm. Noelle Stevenson, aka Gingerhaze, is one of my favorite fan artists, except now she's not just a fan artist, but a real comic creator. She created a short comic yesterday about her time visiting a comic book store that didn't go so well. Luckily we're priviledged to have Austin Books & Comics within a short drive, a comic book store staffed with incredibly generous and knowledgable staff of men and women. I have, however, had less pleasant experiences at other shops in the area, occassionally feeling like I was an alien that had stumbled upon a hidden secret planet where I DID NOT BELONG. Of course said comic then led to some priviledged asshats coming out of the dark cobwebbed areas of the internet to be even more priviledged and more asshatty (totally a word). The formatting on that Tumblr post is a little messed up, so it's difficult to find where the writer changes, but it doesn't really matter. So yes, drama on the internet. That's new. If you're looking for a female-friendly comic book store in your area, this Tumblr called Hater Free Wednesdays has a list of shops to check out. But this isn't random enough. We NEED MORE RANDOM! io9 has a sneak peak of a Game of Thrones art show that's going to be in Seattle in March. You can several of the GOT inspired pieces here. Speaking of GOT exhibits, there is a HBO sponsored exhibit of pieces from the show going to several places around the global, including our hometown of Austin. Fernando is excited, but I have no idea how this is going to work with South by Southwest happening at the same time. Bets on if Ned's head will be included? Marissa Meyer released a short story based on The Little Mermaid to celebrate the release of Cress, her third book in the Lunar Chronicles series. If you haven't read these books yet, stop what you're doing and go get them. 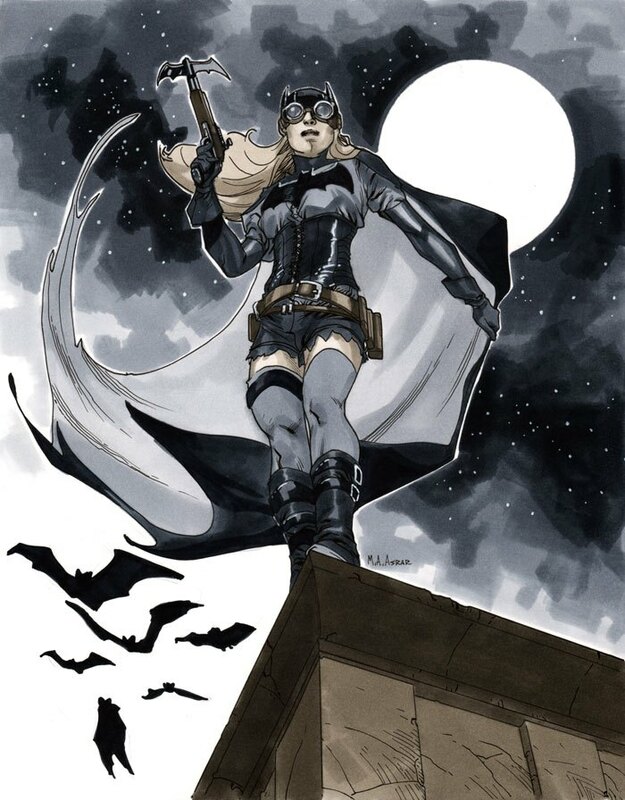 And finally, have steampunk Batgirl by Mahmud Asrar. You can find more of his work at his Deviant Art profile. Welcome to Trailer Park Friday, where we have some fun with trailers and online videos I've stumbled upon over the last few days. This week we have animated dragons, zombies, and more. Let's start off with the most obvious trailer - season 4 of Game of Thrones starts April 6 and Fernando is very excited about it. Craziness is going to go down. The next episode of Almost Human is going to have Gina Carano playing a badass robot. Yay, lady ninja robots! The Walking Dead comes back on February 9 at which point Michonne will kill lots and lots of zombies. Here is a trailer for the second half of the season. I hadn't heard of Penny Dreadful until a few days ago and now I'm seeing it everywhere. Here is the trailer for the upcoming Showtime series. It's full of classic story characters like Frankenstein and his monster and Dorian Grey all in the same universe. It starts on May 11. The upcoming DVD release of Thor: The Dark World will continue the Marvel tradition of adding a short film related to the previously released film (in this case Iron Man 3). Here is the first minute of the short. Jack Gleeson, the boy everyone hates on Game of Thrones, spoke at the Oxford Union the other day about how much he hates celebrity culture and why he's quitting acting once GOT is done with him. Just as a warning: this sucker is 30 minutes long. The kid has stuff to say. And that's what I have for this week. What videos have caught your eyes this week? Share them in the comments. I have been missing for several weeks now. I’m blaming these two books for my absence. I quickly burned through my backlog of books to review and then found myself at a loss for material to post. It also didn’t help that work has been burning my brain out, but that’s a totally different subject. 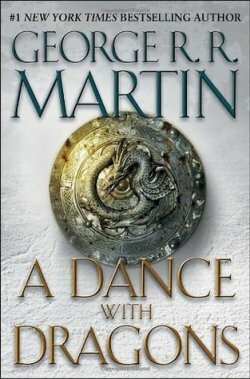 Anyway here is my joint review for A Feast for Crows and A Dance with Dragons, the fourth and fifth books in the A Song of Ice & Fire series by George RR Martin. My one review of both these books: Ugh. I am not a fan of George RR Martin’s pointless ramblings. The only reasons I’ve pushed myself through these thousands and thousands of pages is because A) I can’t stop things in the middle, B) I need to read things before I see them on screen and the most important one, C) Fernando really loves this series. He sits through so much of my stuff that probably bores him to tears, so it’s only reasonable that I share his favorite series with him. I grumble, he defends. We bond over geek stuff. In total these two books are over 2,000 pages and that’s counting the large hardback pages as an equivalent to the small trade paperback pages. If these were both paperbacks, it would most definitely push the 3,000 mark. You’d think with so many pages, TONS of things would happen.